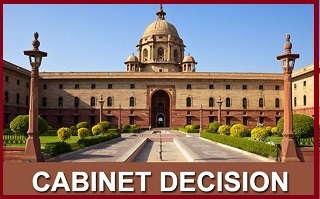 The Union Cabinet chaired by the Prime Minister Narendra Modi on 22nd November 2018, has approved the extension of the term of the committee examining the issue of Sub-categorization of Other Backward Classes (in the Central List) for six months beyond 30th November 2018 and till 31st May 2019. The commission consists of a five-member panel headed by Justice G Rohini (retd), which was formed on 11th October 2017. Based on the processed data, the Commission suggested a round of discussion be had with the States and their Backward Classes Commission before finalizing the sub-categorized lists and the Report. It is assigned to examine the extent of inequitable distribution of benefits of reservation among castes included in the broad category of OBC in central government jobs and educational institutions especially with reference to OBCs included in the Central list. It is also assigned to take up the exercise of identifying respective castes, sub-castes, communities synonyms in Central List of OBCs and classify them into their respective sub-categories. It is mandated was to work out mechanism, norms, criteria, and parameters, in a scientific approach, for sub-categorization within such OBCs.